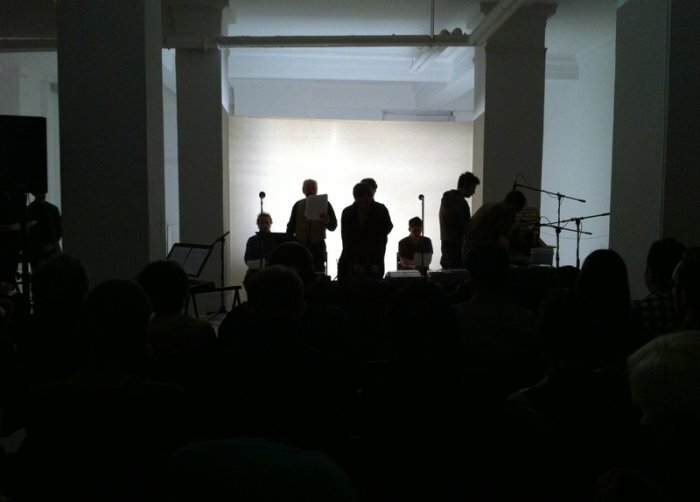 On April 1, 2011, the Clocktower presented The Starry Garter: A Certain Point Within A Sphere by audio artist and composer Sabisha Friedberg, live at the Clocktower Gallery and streamed on ARTonAIR.org. 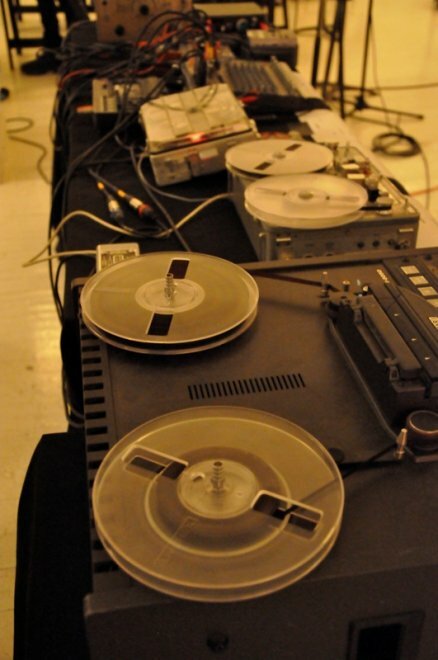 Composed during Friedberg's residency at the Clocktower Gallery, Starry Garter is a sonic poem for radio that combines elements of sound art, radio theater, film, and music to examine themes of transmutation and redemption. Friedberg’s work is based on Etidorhpa, or, the end of the earth: the strange history of a mysterious being and the account of a remarkable journey, the tale of an unknown man’s quest into the center of the earth, that divulges arcane secrets in a process of initiation, and reveals a journey to an ethereal plane of non-material existence. 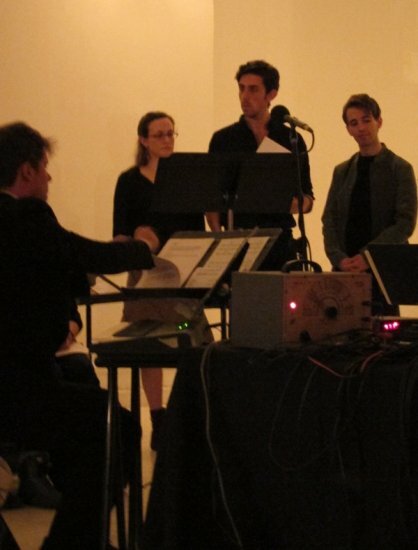 Following Etidorhpa’s narrative arc, Starry Garter updates traditional radio theater by emphasizing the text’s sonic elements with atomized dialog, an electro-acoustic process, and interludes of acoustic cello, piano, and chorus. The live performance of The Starry Garter transforms this 19th Century Hermetic tale into an aural soundscape further textured by effects generated by vintage foley work. Performing with Friedberg were counter tenor Anthony Costanzo, baritone Evan Hughes, soprano Nina Berman, pianist/composer Gregory Spears, cellist Meaghan Burke, foley artist Ted Robison, and radio actors Richard Kohn, Gus Weinstein, David Cohen, and Toby Wherry. Born in Johannesburg South Africa, Sabisha Friedberg studied Fine Arts and completed her degree in Sound and Installation in the New Genres Department of The San Francisco Art Institute. There she studied experimental film with Ernie Gehr and recording and electro-acoustic/ tape music composition with Don Llloyd, Paul de Marinas and Chris Brown of Mills College of Contemporary Music. Aside from her solo project entitled The Torch Press, she records and performs in Sol Del Moon and the Paris-based band Lustrine. She recently was awarded a prize at the Bourges International Electro-Acoustic Music Competition in France for her musique concrète piece Ellipsis. Commissioned by the Villa Noailles in Hyères, this series of sound pieces will be part of the permanent exhibition. For this she was invited to perform a live electro-acoustique work for the Ministère de la culture of France. Sabisha is currently based in Paris and New York.